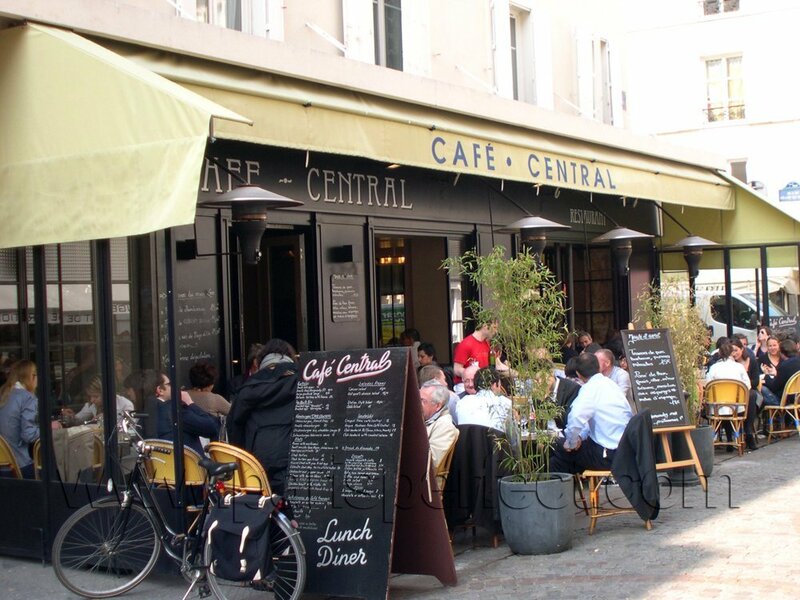 Paris Cafés — There’s Nothing More Parisian! 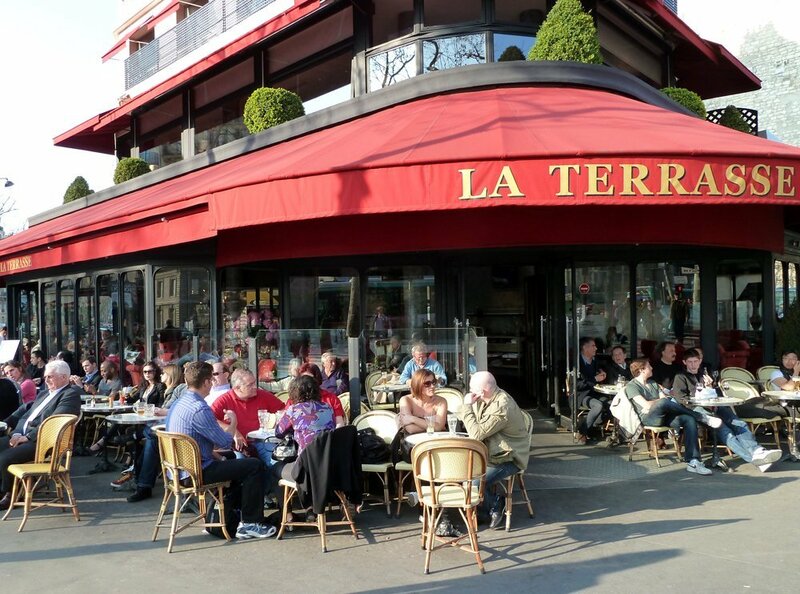 Spring is Coming to Paris — Parisians Flock to Outdoor Cafés! We had the most beautiful week in Paris, one of those weeks when you finally feel the start of spring. The sun shone brilliantly from morning to sunset, weather was warm and everyone was smiling. The whole world seemed to head for their favorite café. 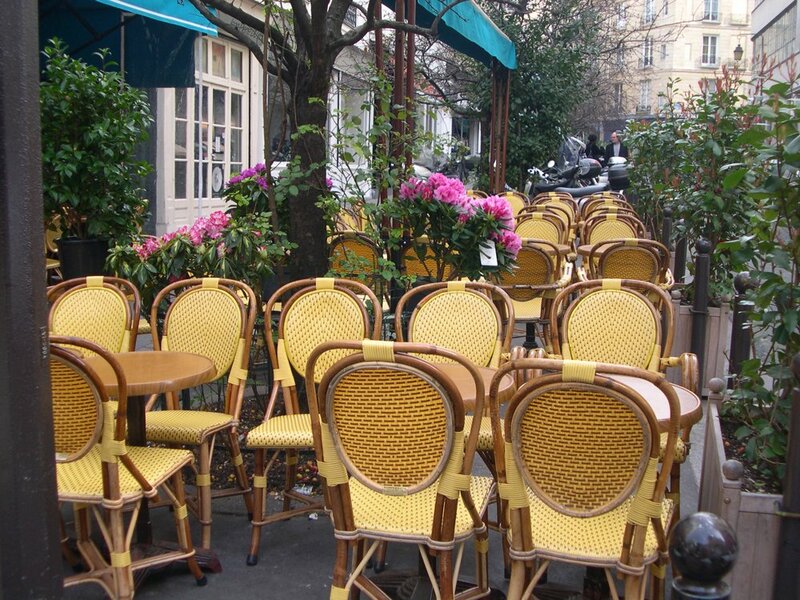 I couldn’t resist taking photo after photo of Parisians sitting outdoors in the sunshine. I was running errands from morning to night. It was hard work, but so much easier to do in the beautiful Paris sun. We’re photographing a gorgeous new short term apartment rental — can’t wait til it’s finished so I can show it to you! 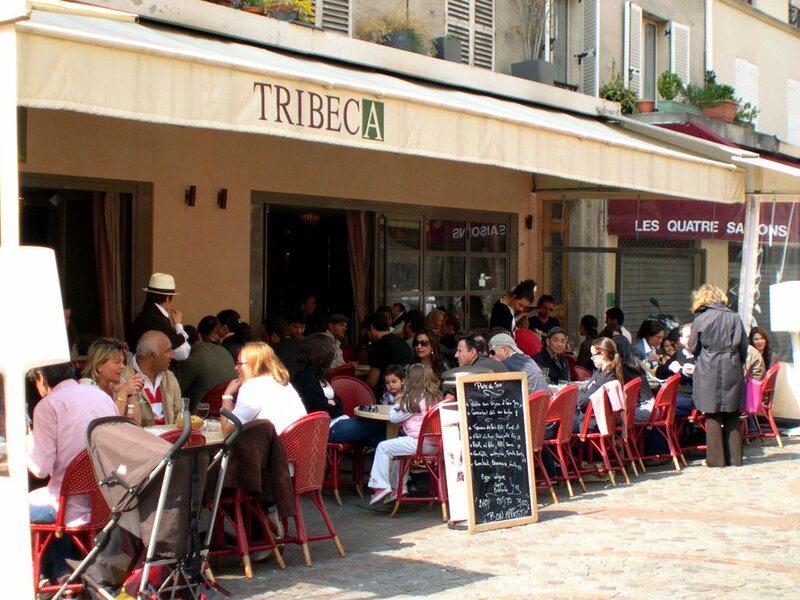 One of the best places to relax is on rue Cler which is full of outdoor cafés. The Tribeca is one of the most popular — reasonably priced food and a great place to catch up with friends or write postcards home. 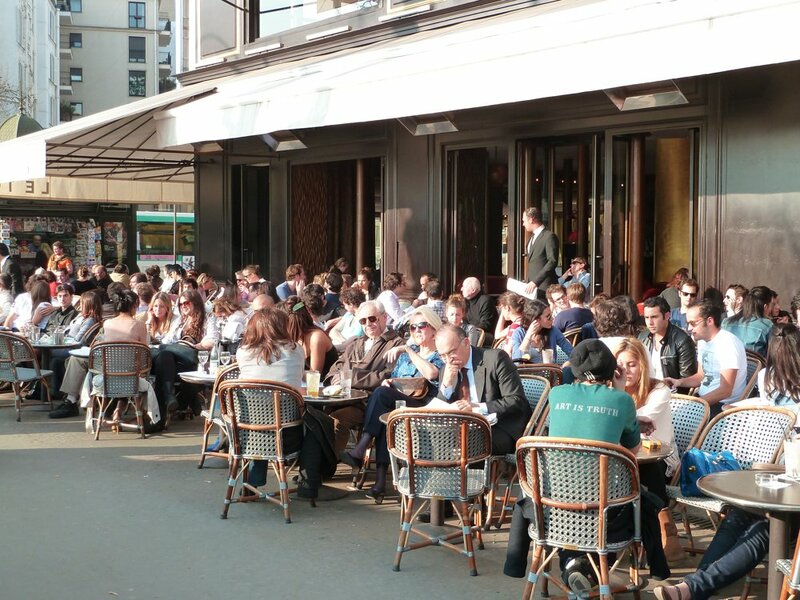 Outdoor heaters means it’s always busy, even in winter. 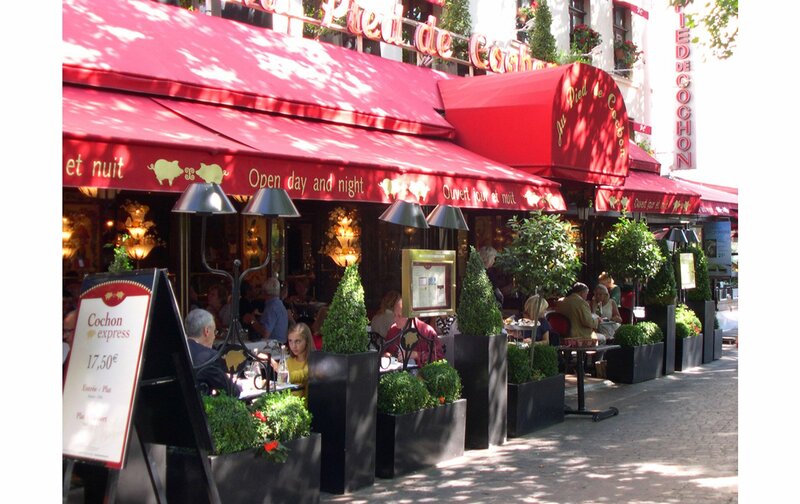 The Grenache Paris rental is a stone’s throw away. 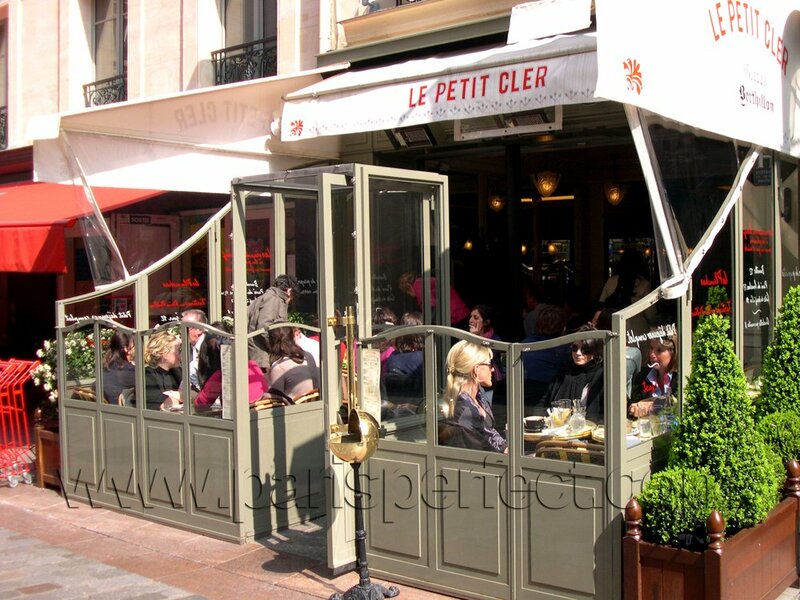 A new café on rue Cler is the Petit Cler — they sell Berthillon ice cream, my favorite! 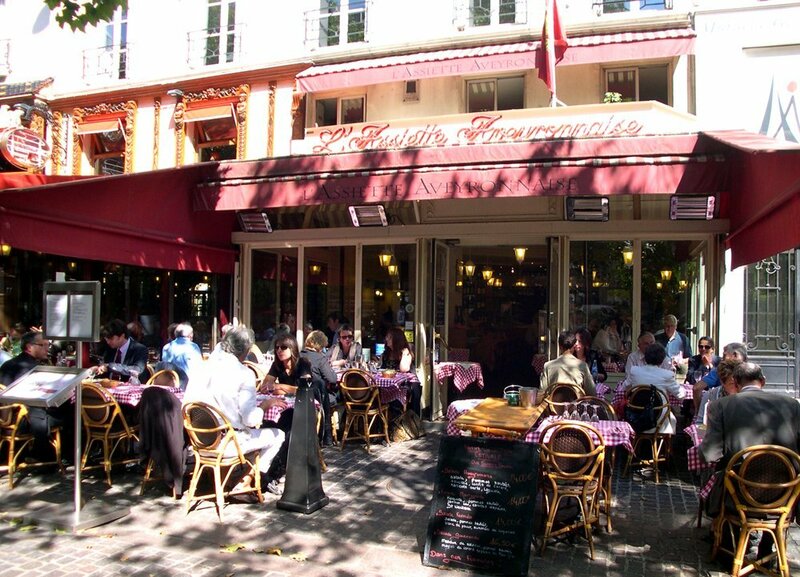 This café’ is on a pretty pedestrian street, near the rue de Montorgeuil Market. It’s close to the Musigny Paris Short Term Rental, a gorgeous apartment that sleeps up to eight people. 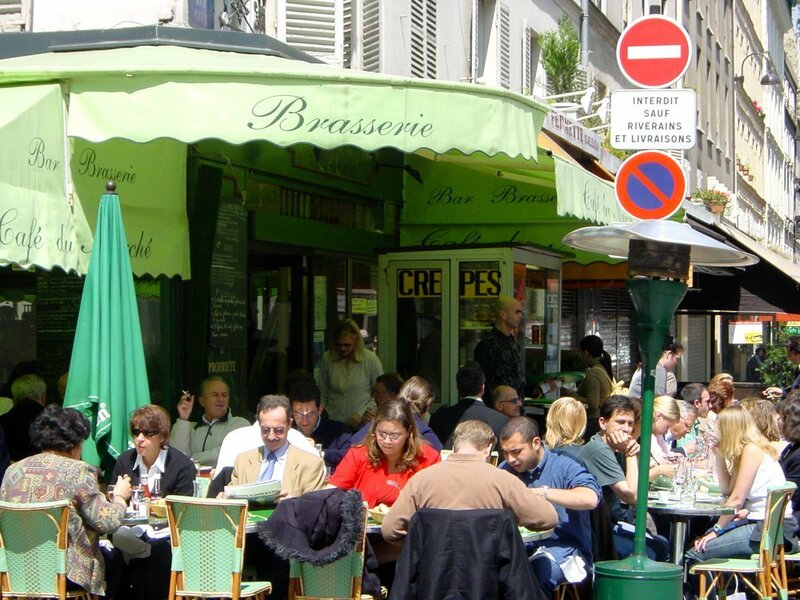 When Parisians fill the tables at a café, you know it’s good. 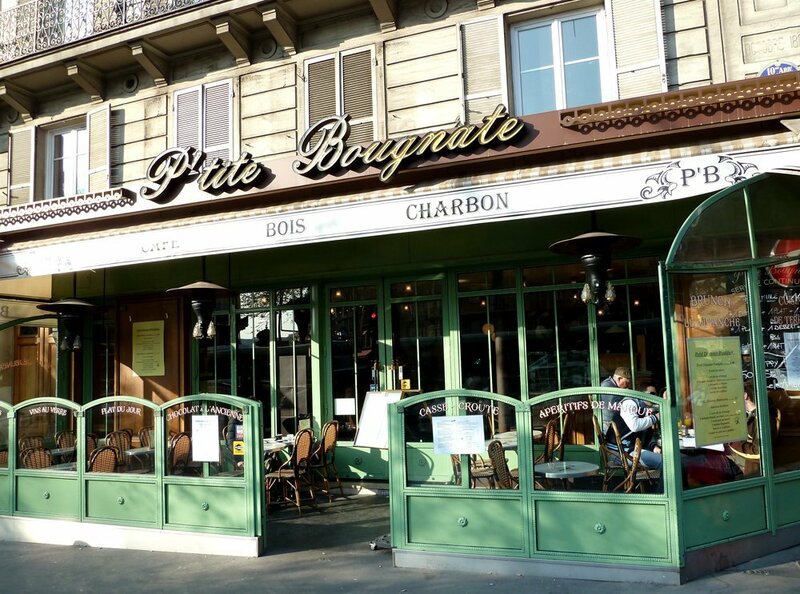 This old café is part of Paris history. The awning still advertises that it sells coffee, wood and coal. In the olden dates people bought their heating supplies at their local. I had a wonderful week enjoying the sunshine. I hope you were equally lucky! 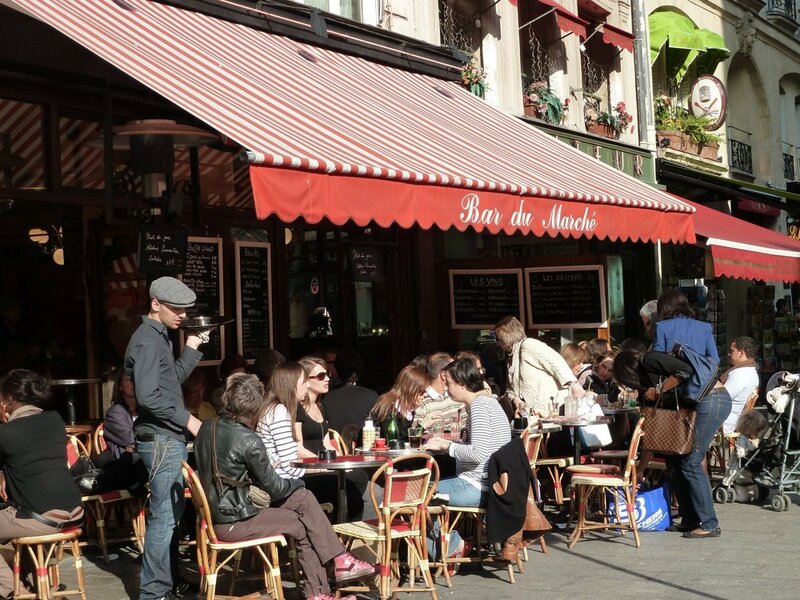 NEXT: It’s Happy Hour in Paris! Posted on Saturday, March 26th, 2011 at 6:52 pm in Food & Drink. You can follow any responses to this entry through the RSS 2.0 feed. You can leave a response, or trackback from your own site. 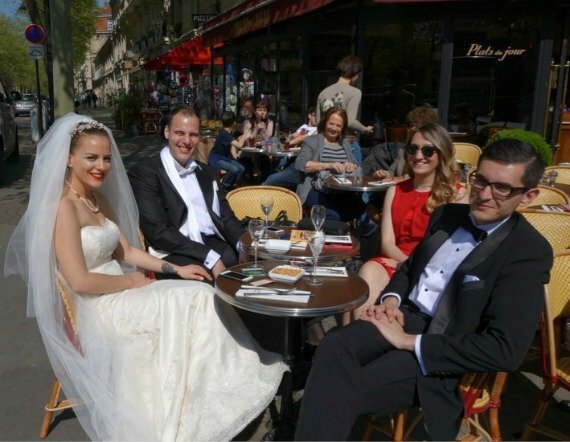 Our Favorite Paris Cafés for People Watching Constantly at Cafés Five Cafés Not to Miss in Paris Another Day in Paris – Wedding Celebration at an Outdoor Café! What’s up with the new barrier at Le Petit Cler?! I was just there in November and it was not there. 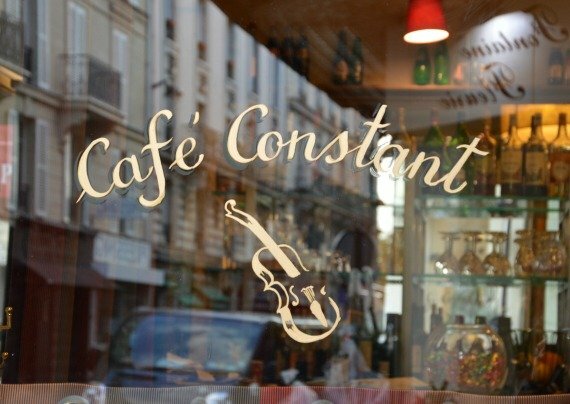 This is my favorite cafe, the waitresses are very nice (and understanding about my poor French) and the patrons are friendly – always a good time. So, I’ll reserve judgement ’til I’m there next. Still, I’m afraid that the experience (people watching) won’t quite be the same. 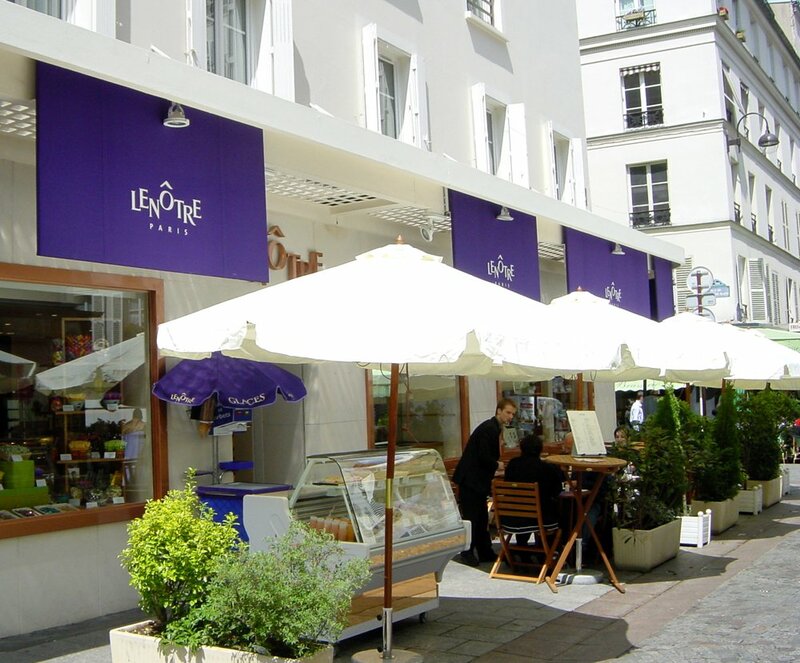 I’ve another you might want to add to your list – Pain et Chocolat (next door to L’Auberge Bressane). Have you been there? Hi, Do you mean the glass barrier in front of the cafe’? The glass and wood barier has always been there but I’ll check and see if they’ve put up something new!